Since she was a little girl growing up in Wisconsin, Pauline Thomas has always been passionate about affecting change in her community. This was especially true when she observed injustice. She looked up to the many members of her community who were involved in the Civil Rights Movement and aspired to one day pick up where they left off. As a community activist in the black community of Minneapolis, when Pauline saw wrongs she fought to right them. In 1995, the NAACP filed a suit against the Minnesota Department of Education because of the poor quality of education that low-income and minority students were receiving. Pauline’s daughter was one of the plaintiffs in the suit, and Pauline helped to craft the settlement agreement that established the ground-breaking The Choice Is Yours program in Minneapolis. When Pauline was dissatisfied with the lack of resources available for students who were struggling academically, she started an after-school program that connected youth with college students who would tutor and mentor them. 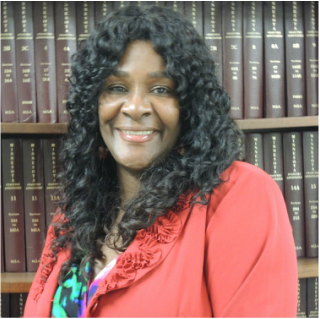 And in 2002, when police-community relations were at a low point, Pauline helped lead a coalition of community members who successfully requested the assistance of federal mediators from the Department of Justice. Pauline began working at the Legal Rights Center in 2006, initially as a Youth Community Advocate. In that role, she helped establish the relationships with Minneapolis Public Schools that has led to our current partnership in handling school behavioral problems through restorative means. She enjoys the opportunity that her current role gives her to connect with the people to whom she gives her vigorous advocacy efforts. She is proud of her critical role in improving client lives and insisting upon the opportunity for all to achieve justice.